As of February 2019, the max range of the car with 100% battery is 230 miles. 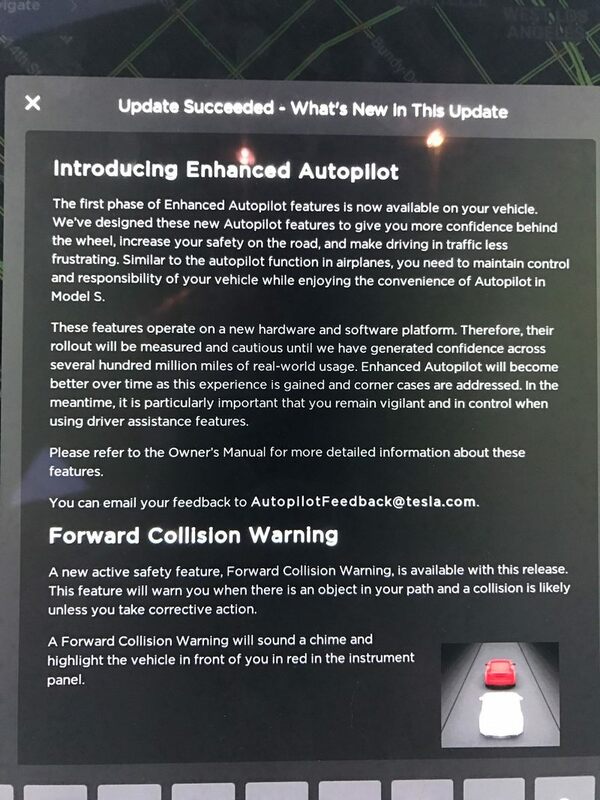 On January 1st, 2017, I received notice that I was one of the lucky 1,000 cars that got access to the Autopilot 2.0 software update. All of the following features are optional and can be toggled in the car settings. Forward collision warning does not stop your car automatically just yet. You can set how close you want to be warned about a potential hazard in front of you. If you are driving too fast and crashing with the car in front of you seems inevitable, a loud chime will warn you to brake immediately. 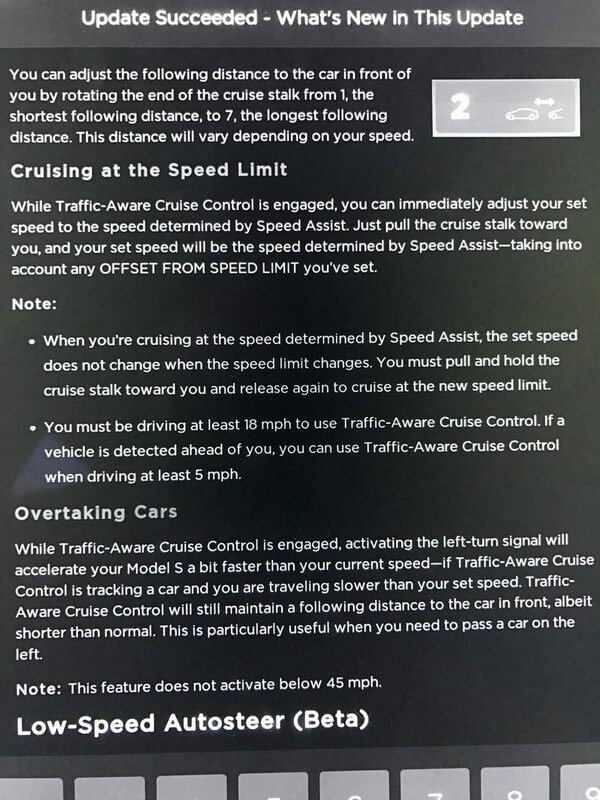 Adaptive cruise control is your normal cruise control plus a few additonal features. 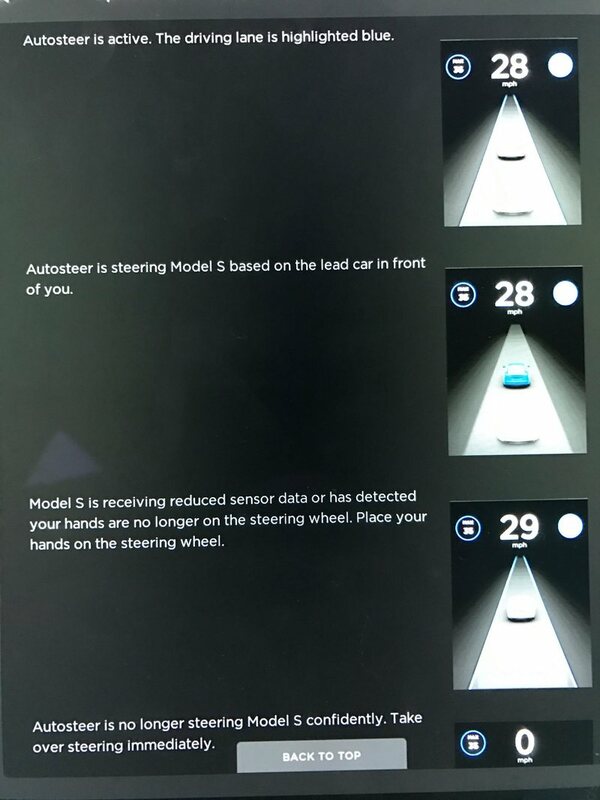 Sensors detect the cars in front of you and will update your speed to your set maximum. It will lower your speed when you are getting too close to the car in front of you. You can adjust between seven levels the distance you prefer to keep from the car in front of you. Activating this is as simple as just doing a normal cruise control. 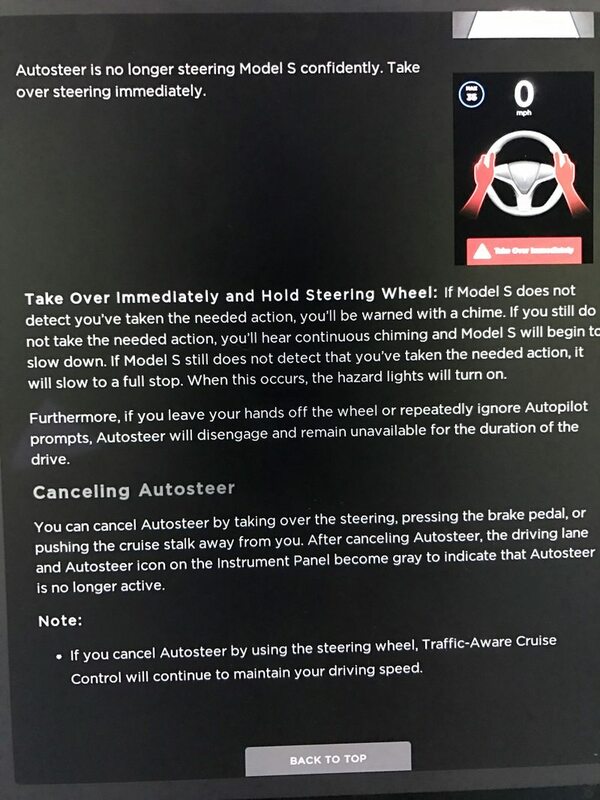 You can cancel this feature by simply braking, just as you would the normal cruise control. At the time of this article, enhanced auto steer is capped at 35 mph or less. You can opt into the beta program after your cameras are calibrated from driving around. Auto steer is activated by activating cruise control twice quickly. It can be done while you are already cruising. Auto steer can detect lane markings and will attempt to follow the car in front of you to navigate. 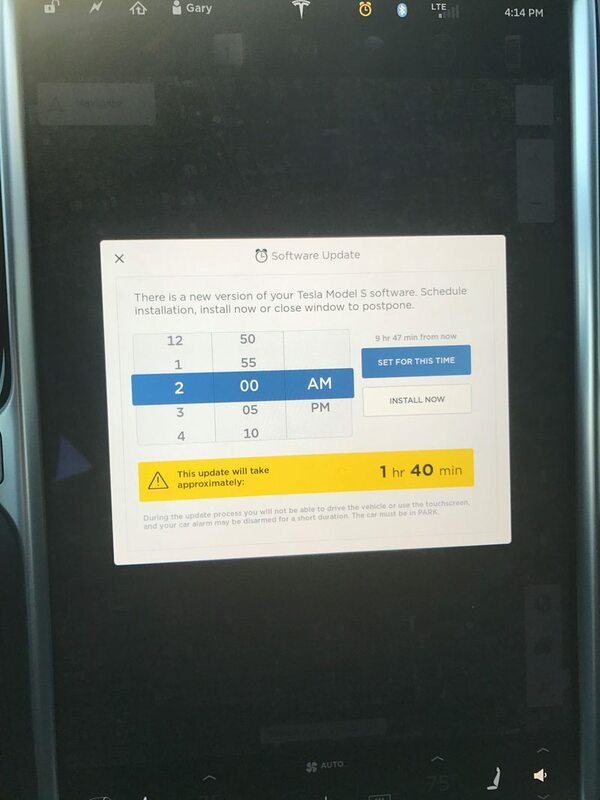 Tesla reports in the changelog that this feature will eventually be accessible to all speed limits. Auto steer can be deactivated by steering, braking, or disabling cruise control. 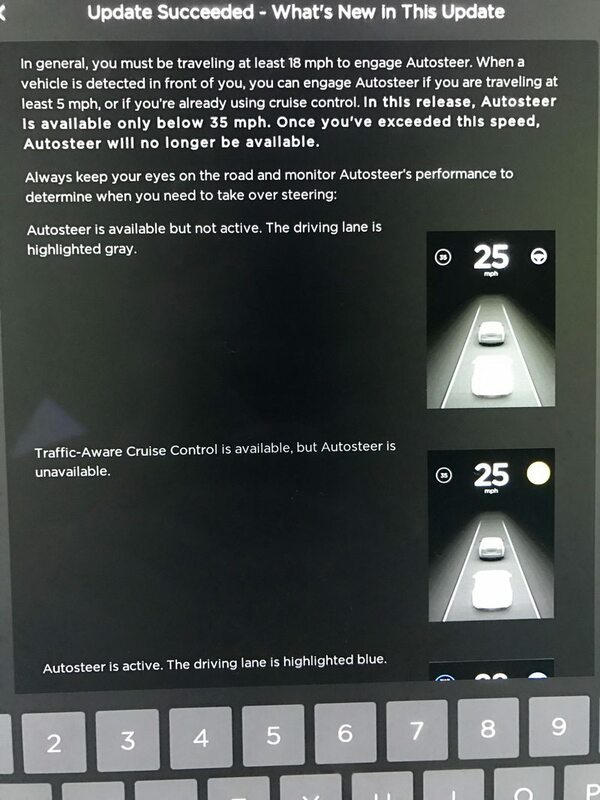 Simple steering will not disable adaptive cruise control. 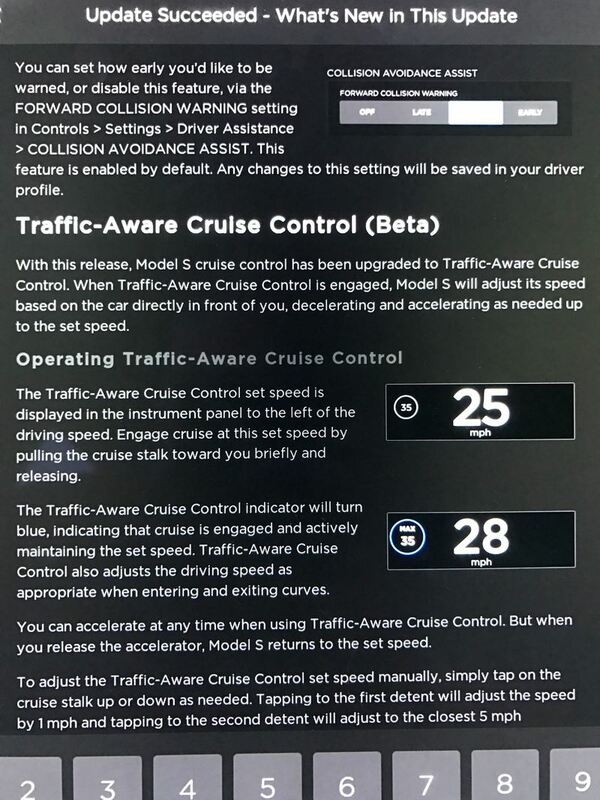 If you have any questions about the Tesla with Autopilot 2.0 hardware, comment here and I'll be able to answer them. Thanks for posting this! Could you comment on the performance of AP 2.0 compared to the old version when you get a chance? I am still getting calibrated. I will take a video when I can enable the feature fully. I think at this time AP1 has more features, so it will be a hard comparsion. I've read that AP1 is not good in street traffic so that will be one of my first tests. Hi Gary, how long did it take for your cameras to get calibrated? I just drove 100 miles today and I'm still getting the camera calibration message. Thanks. I got it in under 20 miles with three trips. Not sure if it's distance based.